Jan - 17 | By: Oregon Film | one comment. For the 6th year in a row Ashland is in MovieMaker Magazine’s top group of small and cities and towns in which to be a filmmaker – congrats! The smallest city on our list, with a population of 21,117, Ashland in Southern Oregon punches far above its weight. It’s both a picturesque filming location with attractions like the 93-acre Lithia Park, which boasts tennis courts, Japanese gardens, and an outdoor music bandshell, and increasingly a home for moviemakers and actors such as Repo Man director Alex Cox and Friday the 13th star Adrienne King. 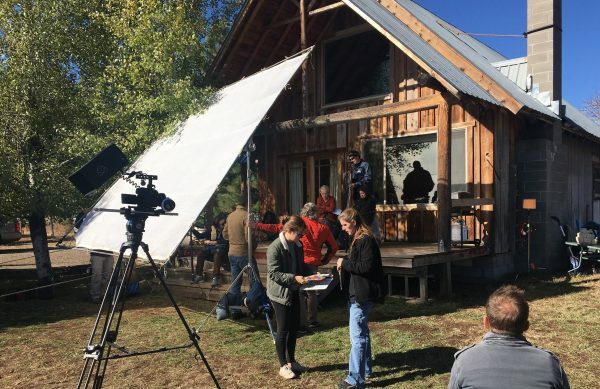 The flourishing community of moviemakers includes Gary Lundgren, who spent two years raising funds to film the sports drama Calvin Marshall in Ashland. For more information on shooting in Ashland go here.